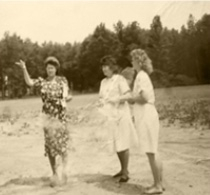 The Church of God, as a denomination, began from a prayer meeting in the Unicoi Mountains of NorthCarolina/Tennessee in 1886 and expirenced the out-pouring of the Holy Spirit in 1896. Even though the beginnings of this denomination seemed small, the impact it would make would be global, with over 7 million members including congregations in all 50 states and 180 nations. 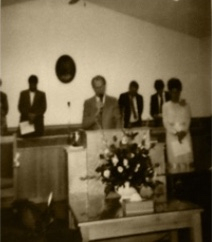 The first Church of God in Sandersville, Ga was planted in 1961 by Rev. Lowell and Jean Bridges. They first began services in their house with some even taking place for a time in the county court house. As with any church plant the first few years were hard, but the Bridges' continued in their passion and vision. The church eventually aquired property and a building on McDaniel Drive. 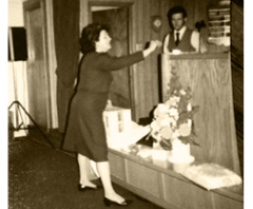 Through the years the church expierenced trials and difficulties and in 1982 the North Georgia Church of God offices had prepared to close the church. However, as in all things, God always has a plan. Rev. Elizabeth and Merivin Williford answered the call of God to move from a steady and growing church to the fledgling Sandersville congregation, which on her first Sunday only had five members remaining. Through prayer and dedication the church found new life and in 1986, having out grown their facilities the church moved to a new location under a new name, the Kendall Heights Church of God. 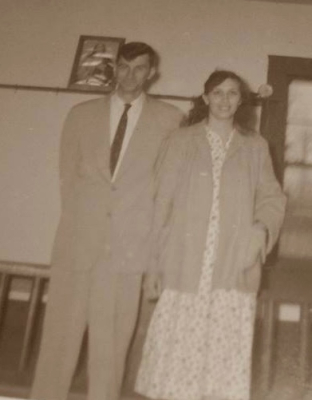 Elizabeth Williford would contiue to pastor the Kendall Heitghts Church for 27 years. The church is currently engaged in a building project that will help us meet the needs of our growing chrurch and multi-generational ministries. Under the leadership of our current lead pastor, Bobby Williford, we are growing with the future in view and our past in mind always dedicated to encourage, empower, and equip the world for Christ.